It’s no secret that my motivation to become a blogger is rooted in my discovery of Tibi and designer, Amy Smilovic, 6 years ago. I have loved watching the evolution of the brand and I know that each and every season, there is going to be something new and interesting. 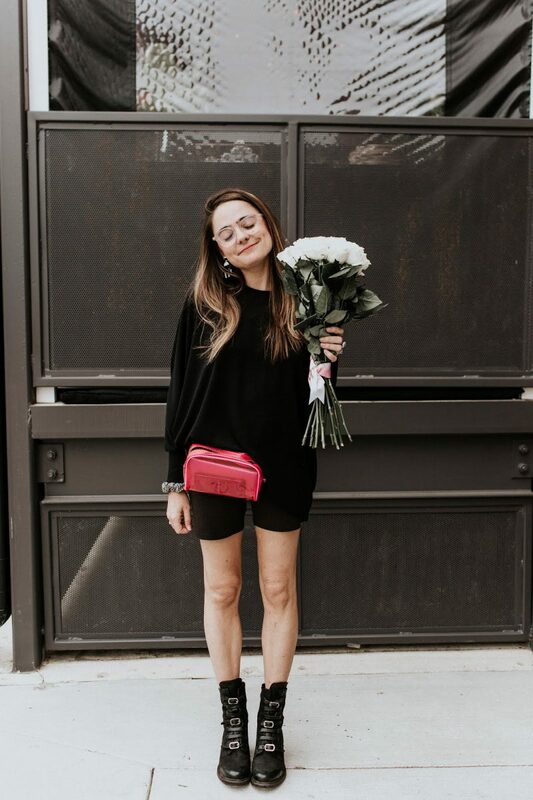 I have pieces in my closet (a pair of Mary Janes, a Jumpsuit) that are among some of my first Tibi pieces and I don’t think I will ever have the heart to throw them out, even when they are worn completely through. They help to serve as a constant reminder of where this whole adventure began and I’ve grown so accustomed to seeing them on a daily basis. This Tibi flare sleeve dress seriously spoke to me when we worked on our collaboration with Roan and it is simply just so much fun. From twirling around in the streets of Shockhoe Bottom, to a night on the town, this dress is worth the splurge this fall. Who knows, maybe you’ll still be staring at it in your closet 6 years from now? Anyways – bell sleeves are super in right now – as Catherine so brilliantly showed us last week. Heavy Bell Dress, Tibi. Shoes, Pedro Garcia. Watch, Michele. Sunnies, Illesteva. Glasses, Prada. Bag, Louis Vuitton.